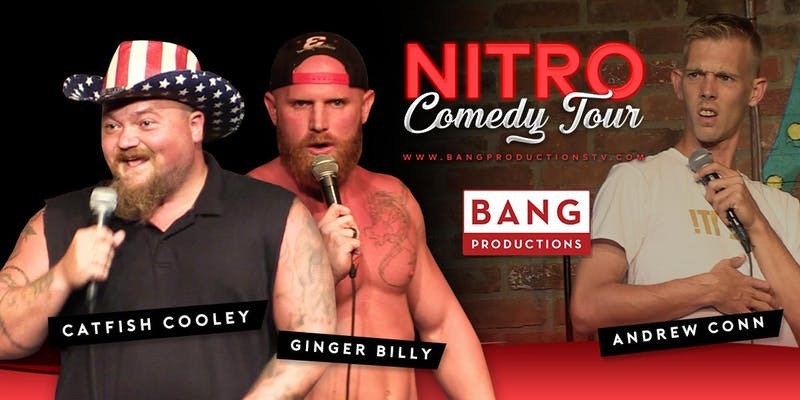 Bang Productions presents the "NITRO COMEDY TOUR" the craziest comedy show in America. Starring Comedians Andrew Conn, Ginger Billy & Catfish Cooley. The show is produced by Darren Knight & John Edmonds Kozma. Comedian Andrew Conn has been called Jim Carrey of redneck comedy. General Admission! First come first serve! Show starts at 9:15 pm. Doors open after early show. 18 and Over! 21 to Drink! Two item minimum purchase.